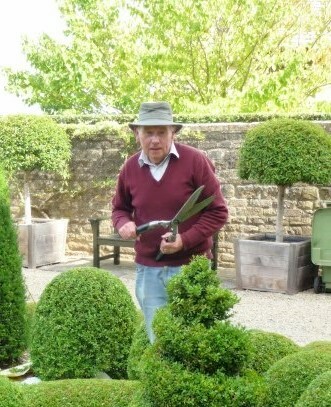 After almost twenty years as Head Gardener at Bourton House Garden, Paul Nicholls has retired. He has spent a lifetime dedicated to giving joy to garden lovers from all over the world; first as Head Gardener at Hidcote and then at Bourton House Garden. We will all miss his passion and expertise as well as his dry sense of humour. Paul's unique planting schemes and extensive horticultural knowledge have been an inspiration to his colleagues and to thousands of visitors over the years. His dedication, professionalism and sheer hard work will be remembered for many years to come - we wish him much happiness in his retirement and some well-earned rest and relaxation. Paul's long-standing assistant Jacky Rae will be taking over as Head Gardener. She has a passion for the garden to match Paul's and we are certain she will take care of his legacy as well as bringing her own unique talents to the garden in the future.